Diptera.info - Discussion Forum: What nymph? I found this nymph on ant. 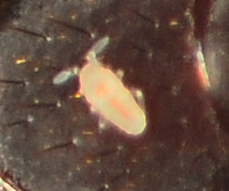 I guess that is Pseudococcidae or Collembola nymph. Found in Sao Paulo. Brazil.